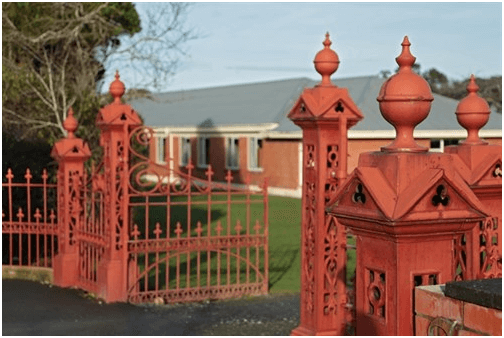 All International students enrolled at Southland Boys’ High School must be living in school-approved homestay accommodation or our hostel accommodation which is known as Coldstream Hostel. Coldstream Hostel is located directly opposite the school grounds and is only about 3-4 minutes walk away. If your preference is for your son to stay in our hostel accommodation, he will be staying with up to 100 other boys. Boys share dorms with up to eight boys per dorm. Boys have their own bed, and separate space for their personal belongings. Our hostel ensures that the boys are safe, well looked after and they will enjoy three hot meals per day prepared by our German-trained Chef, Theo. Noodles and rice are offered with every meal. Homestay accommodation is also available. Homestay accommodation will consist of a single bedroom and study facilities, three meals per day, clean linen, towels and personal hygiene facilities. Regular contact between Southland Boys’ High School and your homestay parent is made through our International Homestay Co-ordinator. Both the hostel and homestay accommodation will provide your son with a warm, comfortable environment in which to study, reasonable house rules for your guidance and for you to respect. Both options will encourage you to participate in the activities and events and will help you with your English. Friendship, care and guidance, along with a safe physical and emotional environment will ensure that your experience is a positive one. The New Zealand families who welcome students into their homes are not rich but are families who want to share their lives with you. In return they want to learn about you and your country. They are inviting you to become a member of their family because they want to share with you their way of living and to get to know you and your country. It is important that you do not compare, in a negative sense, your way of life in New Zealand with your way of life at home. If you are a boarder you must follow hostel rules at all times. You will be given a booklet of information and rules. In N.Z we like to know where our children are, who they are with and at what time they will be back. You may be used to having more freedom than that, but that is not acceptable here. Your host family would like you to become a member of the family. This means that you will share the daily chores as well as the pleasures, and take part in family outings and other fun activities. The most important thing however, is to share your own thoughts feelings and impressions with them. This will really make you one of the family. They need to know how you feel. If something is worrying you, it is essential that you tell the family about it. Not saying anything or not telling the truth is one way we can hurt each other. Belonging to a family means that you take part in everything that the family does together including family parties, and gatherings with good friends. Naturally there may sometimes be a few problems. Living together for such a long time is not easy and everyone has to adjust to everyone else. Small difficulties can sometimes be exaggerated, if you don’t communicate with each other.